With today`s rapidly evolving scientific and technological landscape, researchers face many alternatives for implementation of rigorous and innovative research studies that involve complex scientific data. Finding the appropriate data sets for the analysis, preparing the data and deploying the right methodologies and software technologies for a successful implementation can be challenging. NLT provides a full range of services to support cutting edge scientific research in data science. NLT assures a successful and smooth implementation of scientific research from research design to identification of the required datasets (including open-source data) and their preparation for analysis and assessment evaluation of optimal technologies that best fit your analysis. 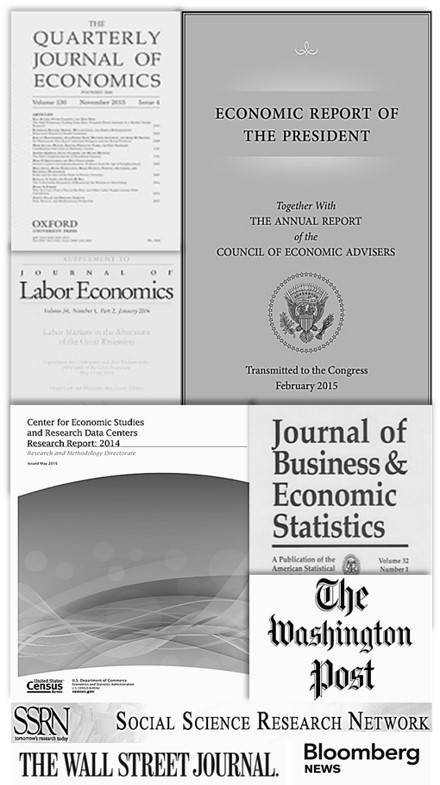 For many years, NLT has been providing large-scale research and development, production, and management support to the U.S. Census Bureau’s Center for Economic Studies and the Longitudinal Employer- Household Dynamics Program (LEHD), the nation’s premier source for detailed statistics about the U.S. labor market and workforce. These data include the Quarterly Workforce Indicators (QWI), LEHD Origin-Destination Employment Statistics (LODES), Job to Job Flows (J2J), and other restricted-use microdata available to researchers through the Federal Statistical Research Data Centers (RDC). 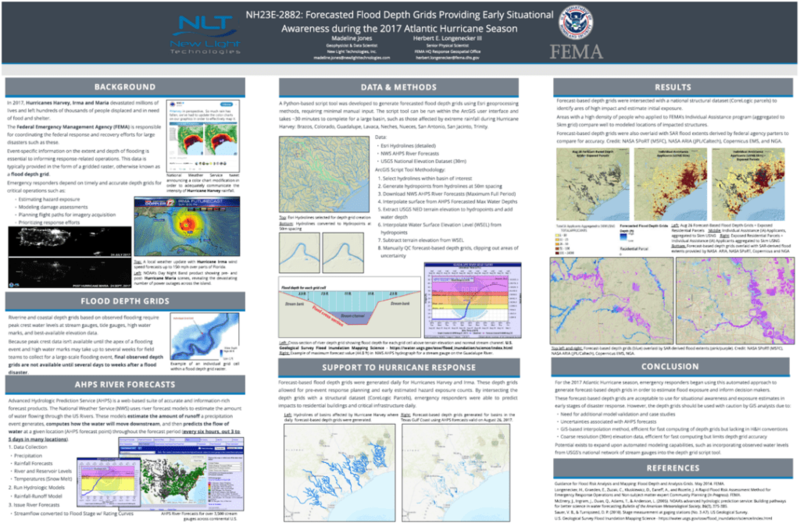 NLT’s team of Economists, Geographers, Statisticians, and Computer Scientists provide support ongoing research, development and production of these data including the design of statistical and data-matching methodologies, imputation, noise infusion, synthetic data modeling and the development of quality tests for validation, among others. These data products form a crucial part of the federal statistical infrastructure, and currently support a plethora of federal, state, and local decision making as well as numerous research initiatives conducted by leading researchers in computer science (e.g. Ashwin Machanavajjhala of Duke University and Dan Kifer of Penn State University), economics (e.g. Ugochukwu Etudo of University of Connecticut and Zoltan Wolf from the US Census Bureau) and Business Administration (e.g. Hilal Astoy of Temple University, Joseph Pancras of University of Connecticut and Dmitry Zhdanov of Georgia State University). These data and research were recently featured in the Annual Report of the Council of Economic Advisors and the Economic Report of the President. NLT`s scientists are also participating in a wide-range of Geospatial Information Systems (GIS) and Remote Sensing research projects. NLT’s broad information technology expertise and partnerships, including with open-source software providers, enable us to incorporate these technologies and methodologies into innovative scientific research initiatives. 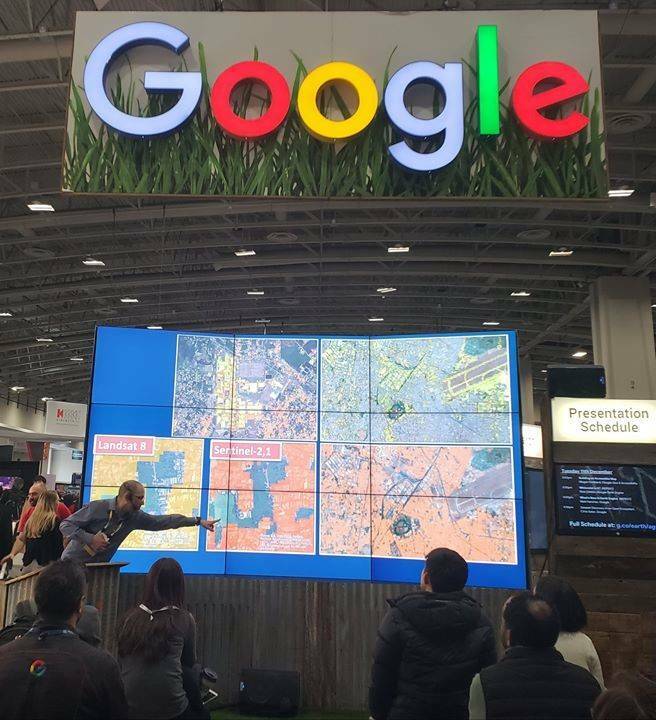 Currently, NLT is conducting a research project in collaboration with Gordon Hanson of University of California San Diego, Amit Khandelwal of Columbia University and others evaluates different approaches for defining urban markets based on economic activity detected by satellite imagery. 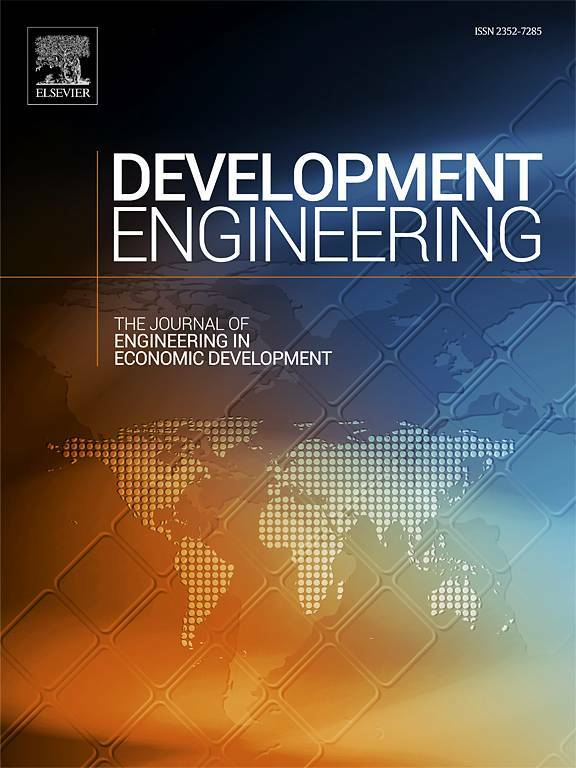 Preliminary results of this research have been published in The National Bureau of Economic Research (NBER). NLT has also been providing research support to the World Bank Group, which is one of the world’s largest sources of funding and knowledge for developing countries. 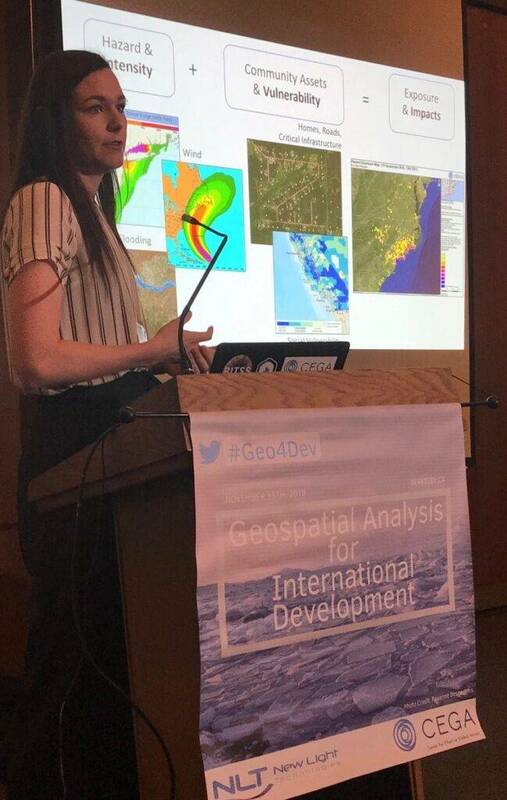 NLT`s scientists are integrated within several divisions at the World Bank, supporting and guiding the implementation of geospatial solutions and state-of-the-art technology including the application of machine learning and remote sensing analysis of satellite imagery to measure land cover and land use changes; development of methodologies and workflows to exploit satellite imagery to detect unregistered parcels and informal structures; geocoding the locations of firms and establishments in the developing world; and using nighttime-light data to measure the effects of new transportation corridors on local and regional economic development. NLT is committed to training the next generation of data scientists and preparing them for a competitive job market. 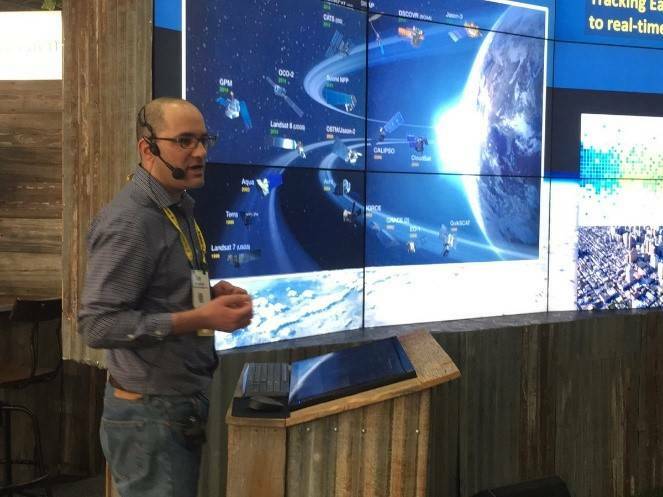 The firm has partnered with the School of Global Policy and Strategy at UC San Diego to offer a unique summer internship opportunity for students who want to gain hands-on experience in conducting research related to remote sensing, big data, climate and economic development. 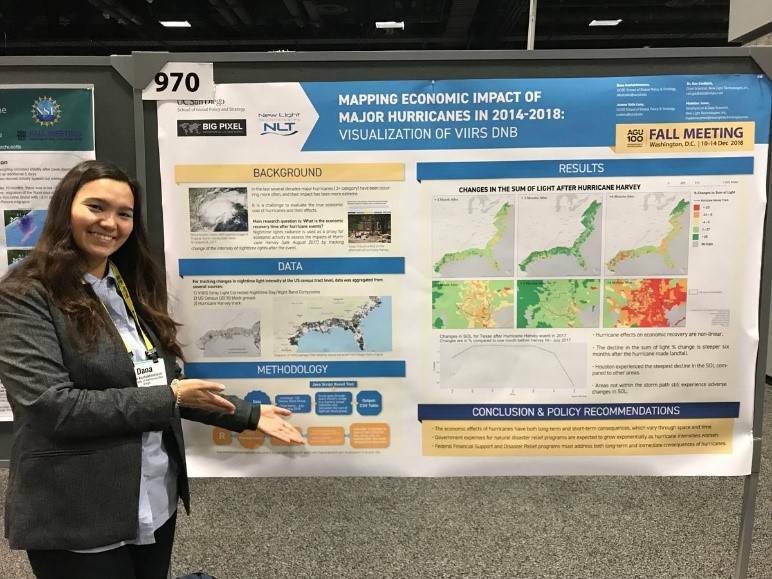 In the summer of 2017, two graduate students utilized state-of-the-art analytical tools to evaluate how hurricanes disrupt short-term local economic activity and the ways in which storm-related damage affects a region’s long-term growth trajectory. 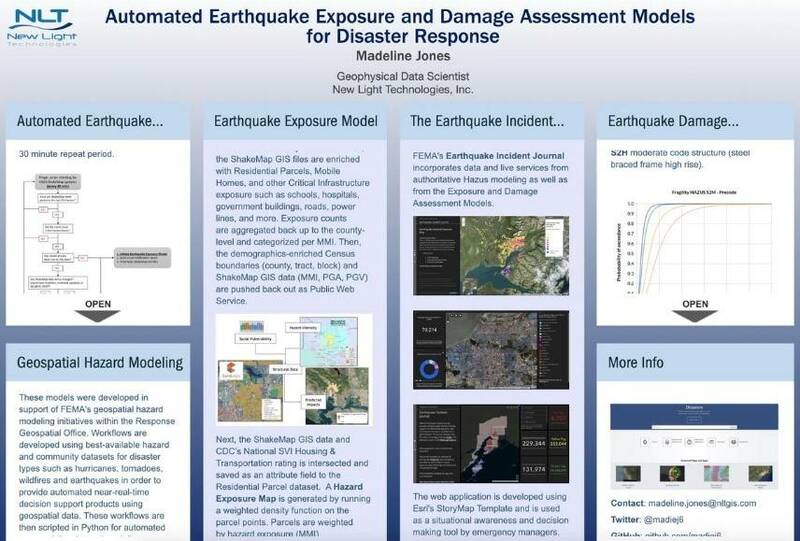 NLT has also partnered with General Assembly’s immersive program in data science and visualization to to challenge its students to develop innovative and data-driven solutions for disaster support and relief during major disastrous events. This project has expanded in 2018 to include 10 of General Assembly`s campuses across the US. NLT is an integral part of today`s scientific and academic community, sponsoring a wide range of academic conferences such as Geo4Dev 2018, ForestSAT 2018, American Geophysics Union (AGU) Fall Meeting, American Society of Photogrammetry and Remote Sensing (ASPRS), TUgis and others.